Have lived on and fished Biloxi’s Back Bay for 61 years. Have held 6 Mississippi saltwater records. 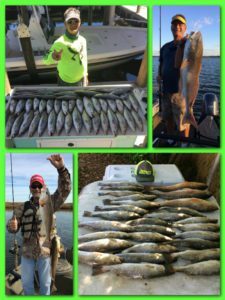 I enjoy fishing for all available species, but specialize in shallow water pursuit of Speckled Trout, Redfish and Flounder. Retired from Tidewater Marine, I fish 5 days a week and frequently at night. After discovering Matrix Shad 4 years ago, I now fish it exclusively! Deep jigging shallow inshore reefs and sloping island points is my passion. Boat: 18ft G-3 center console with 70hp Yamaha. Tackle: customized All Star 7ft casting rods with Shimano Curados and customized 7ft All Star spinning rods with Shimano Symetres. Favorite baits: Kamikaze, Limbo Slice, Ultra-Violet and Green Hornet.